Amy Sproston took second at the 2015 The North Face 100k-Australia. In this interview, Amy talks about how she felt during the race and what she thought of the course, as well as her plans for the rest of her 2015 racing season. Check out our results article to see how this year’s race played out. 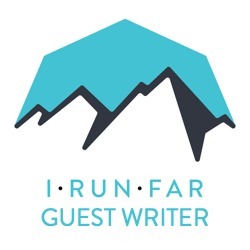 iRunFar: Hi, I’m Kerry Suter with iRunFar. I’m here with Amy Sproston, second place at yesterday’s The North Face 100k-Australia. Congratulations. iRunFar: Now tell me a little bit about your race. Sproston: I kind of did as I’d planned. I went out conservatively and stayed fairly conservative. iRunFar: Now earlier in the race, we were sort of tracking you in third place, hanging around with some of the girls in the third to fourth place in the bunch. Cassie [Scallon] was just a bit down the road in front of you. That’s how you thought the race was going to pan out? Sproston: Yeah, once I passed Shona [Stephenson] five or 10 miles in, I never really saw fourth and fifth. I think they were a little ways back. I wasn’t really worrying about other people. I was just doing my own thing. iRunFar: It was comfortable? Was it a challenging sort of thing? How was the speed on that? Sproston: Comfortable. I’m not in the best shape. Training hasn’t been great in the last month or two, so I knew I couldn’t really go out hard and hang on. I went out comfortably and was patient. iRunFar: The course itself—how did you find it? Sproston: It’s a beautiful course, and it was a beautiful day. I guess it was more… I knew there were a lot of runnable fire roads, but I didn’t realize how much of it was runnable fire roads. But then there’s a lot of… it’s very varied with steep technical up and down and then you get shot out onto and then you run kind of rolling for several miles. Then you go, again, steep up and down, and then you get shot out onto a fire road. It changes up a lot. iRunFar: That was a good result for you, and I think it’s certainly a good indicator of where you’re at at the moment. What’s on the cards for the next six months to a year? (To passerby: Please don’t walk in front of the camera.) Obviously that was a good result for you, and there’s probably going to be more to come in the next few months. What’s on the cards for you heading through the rest of 2015? Sproston: My main focus race for the year is UTMB coming up at the end of August. As part of the Ultra-Trail World Tour, they asked me to do three races. This is UTWT; UTMB is UTWT. I’m hoping to do UTMF four weeks after UTMB. So my plan is to get in shape for UTMB and then kind of coast into UTMF. iRunFar: Will you be okay with back-to-back racing like that? Sproston: Yes, I think for 100’s, if I train aggressively for one and have a short period to recover and then run another, it’s a decent strategy. iRunFar: So you talked about some journeys at Western States. That’s probably the next decent run you’re going to have? Sproston: Yes, I’m going to pace Emma Roca at Western, and then I’m going to pace my friend Darla Askew at Hardrock. My summer is going to have a few pacing duties, but especially Hardrock, I’ve never been to. I’m excited to go see the course. iRunFar: Brilliant. It’s been a really fun to see you racing in Australasia and I really hope to see you back. Congratulations again.